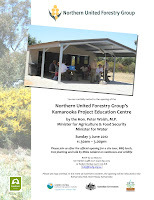 The Northern United Forestry Group (NUFG) would like to announce the official opening of the Kamarooka Project Education Centre, by the Hon. Peter Walsh M.P. on Sunday 3 June 2012 at 11.30am. 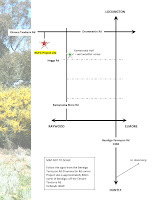 The NUFG began revegetating 50ha of salt affected land at the Kamarooka site in 2004. Since that time a remarkable transformation has taken place on previously unproductive farm land. Native hardwood plantations comprising interspersed eucalypts and acacias now grow tall along the margins of the most saline lands, and large stands of Old Man Saltbush thrive on the most degraded soils. Equally large biodiversity plantings flourish in land that was once thought lost forever. NUFG’s dedication to monitoring and community education has seen the site arguably become the key learning facility for dryland salinity reclamation in South East Australia, providing first-hand knowledge to a diverse range of schools, Universities, land managers and scientists each year. NUFG have responded to the increasing visitor demand by building an Education Centre. 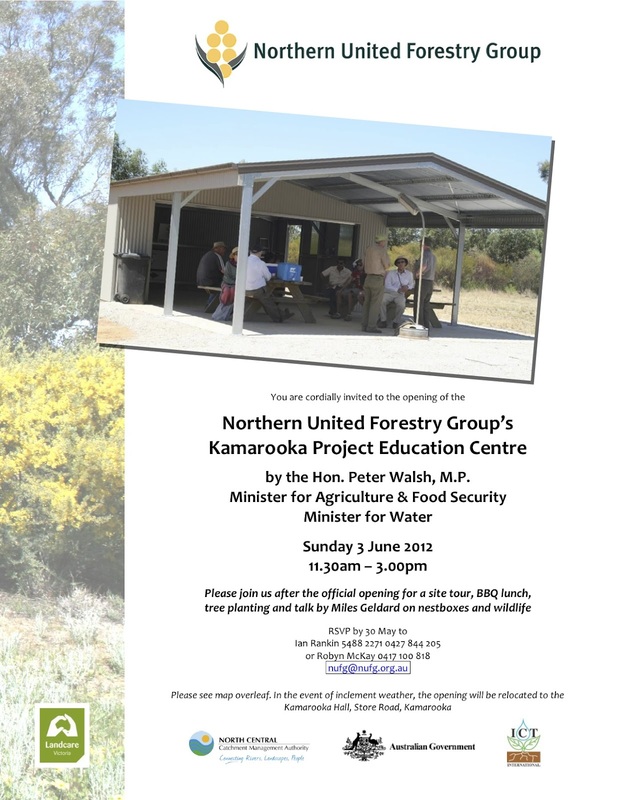 LPLN members are invited to join NUFG to celebrate the opening of the new centre, followed by a BBQ lunch, site tours and biodiversity planting.